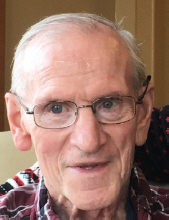 George Joseph Polacek, 82, went home to his Lord Saturday, Jan. 26, 2019. Born Jan. 14, 1937, in Rib Lake, he was the son of the late Charles and Emily Polacek. George and his wife, Helen Polacek, were blessed with six children. George was presently a member of St. Bernard Catholic Church in Watertown. Survivors include his wife, Helen Polacek; six children, Ginny (Matt) Smith of Watertown, Joe (Ruth) Polacek of Cross Plains, Mary Lou (Tom) Wirtz of Pewaukee, Katie (Lowell) Rausch of Deerfield, Rick Polacek of Pewaukee and Marcy (Steve) Pfeifer of Green Bay; grandchildren; great-grandchildren; two siblings, Frances (Emil) Foytik and Mary (Steve) Warga; and sister-in-law Alice Polacek. George was preceded in death by his parents; three brothers, Tom, Charles/Bud, Jim; and two sisters, Margaret and Dorothy/Tweety. A Mass of Christian burial will be held at 11 a.m. Feb. 9 at St. Bernard Catholic Church in Watertown. Father Patrick Wendler will be celebrant of the Mass. Burial will be at a later date in St. Patrick's Cemetery, Phillips, with the presentation of the military honor guard. Visitation will be at St. Bernard's on Feb. 9 at 9:30 a.m. until the hour of service. The family would like to extend a heartfelt thanks to the nurses and staff at Clearview in Juneau for their caring help to George late in his life. The family also extends heartfelt thanks to Schmutzler-Vick Home for their kind care. Memorial contributions may be sent to Friends of Clearview: Dodge County-Friends of Clearview, 198 County Highway DF, Juneau, Wisconsin 53039. Schmutzler-Vick Funeral Home of Watertown is assisting the family with funeral arrangements. Memories and online condolences may be sent at watertownwifuneralhome.com. To send flowers or a remembrance gift to the family of George Joseph Polacek, please visit our Tribute Store. "Email Address" would like to share the life celebration of George Joseph Polacek. Click on the "link" to go to share a favorite memory or leave a condolence message for the family.